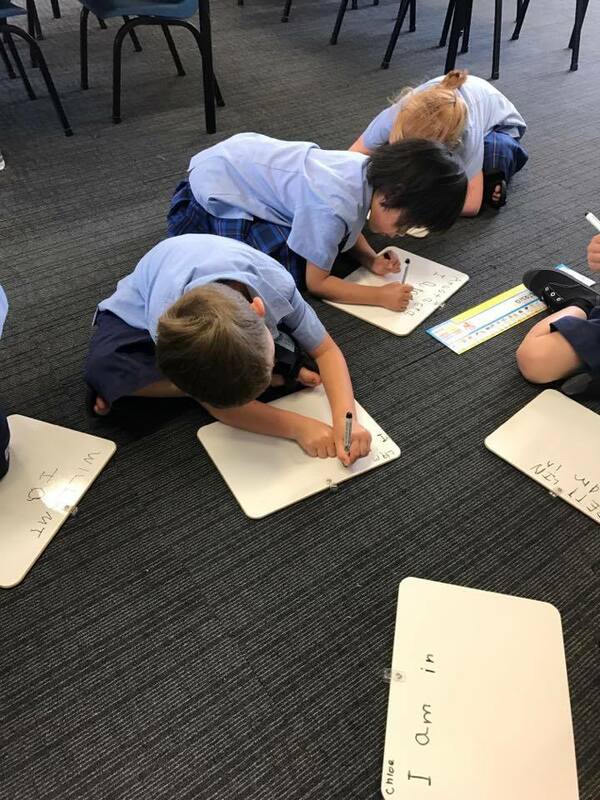 Today our new whiteboards arrived so we decided to give them a go. 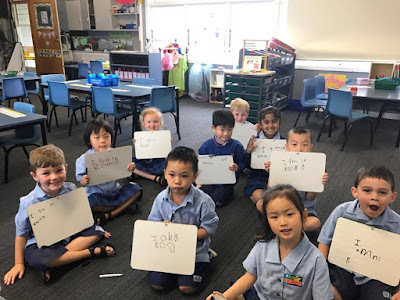 Here we are learning how to write 'I' and 'am'. These words were in our poem this week. Some of us even remembered our finger spaces and a full-stop! Can you believe what we did considering most of us have only been at school for 3 days? We are super proud of you Team 8! Ka Pai.